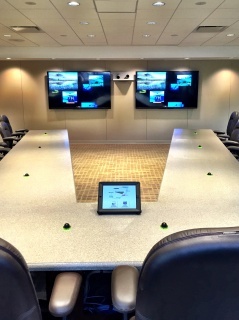 With decades of experience and specially trained personnel, our Nolan Sales Design division creates the perfect setting for your in-house presentations and meetings with the latest technology and the hands-on service for which Nolan is known. Our expert staff becomes an extension of your facilities group, working hand in hand to assure success. Using our NSD development process, we work closely with your internal team to assess your needs and define your project parameters. Using nationally known brands and integrated audio-visual systems, we develop an optimal system we can implement at your direction, always on budget and always on time. That’s the Nolan way.